If you are like me, you love the Thanksgiving Turkey and all the fixings that go with it. 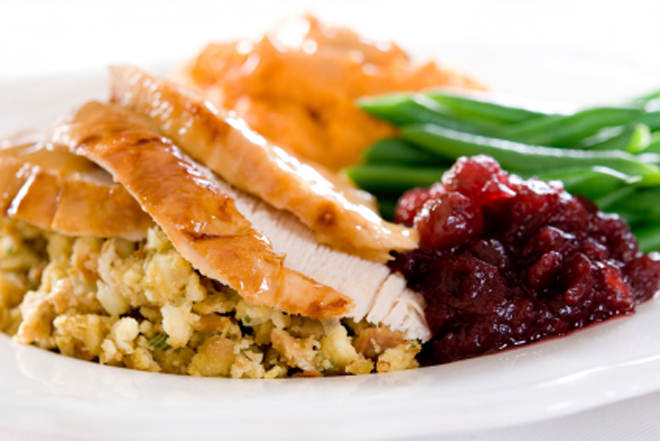 Everything from the appetizers to the stuffing, mashed potatoes, gravy, casseroles and all the way to the pumpkin pie. I am hungry just thinking about it. With all the yummy foods it can be a real challenge to not over due it. The following are some of my favorite tips on how to enjoy Thanksgiving dinner while still being careful of the calories. Enjoy Thanksgiving and get right back into your fitness groove. Shopping on Black Friday or any day for 2 hours burns approximately 300 calories! Be Fit! Be Healthy! Be Happy!